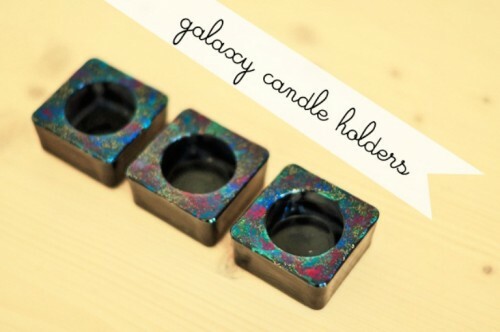 If you gonna have a party and think of cool décor, these candleholders is a great idea for you. 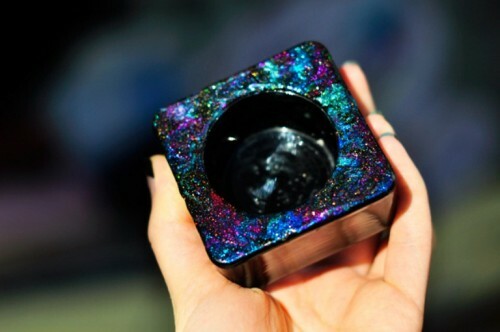 All you need is a pile of usual black candleholders and different types of nail polish with spangles. 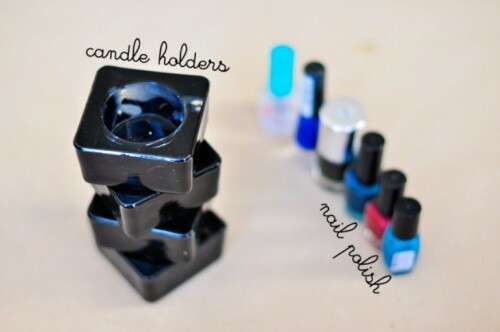 Paint the candleholders with several coats of nail polish. The spangles would give them kind of sparkling galaxy view – that’s a great idea for any party, and also for Halloween. The idea is very simple and won’t take much time; it’s what you can do during the last 15 minutes before the party. The sparkles will glitter in the lights and create a special party atmosphere.